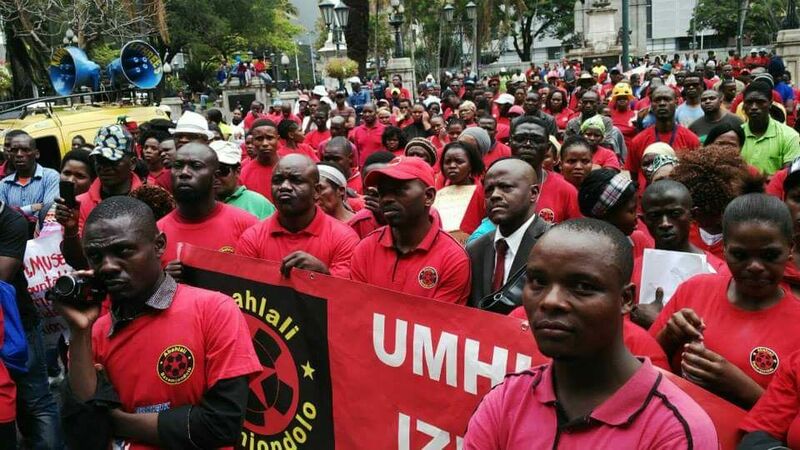 Abahlali baseMjondolo on Monday returned to the Durban High Court to apply for another court interdict against eThekwini Municipality. This was following the cityâ€™s Anti-Land Invasion which allegedly storm Lamontville and â€˜unlawfullyâ€™ evicted dwellers of a transit camp. According to a statement by the shack dwellersâ€™ movement the said transit camps were forcefully imposed on the residents during the 2010 FIFA World Cup eight years ago. Abahlali baseMjondoloâ€™s Thapelo Mohapi said that the the evictions of about 40 families carried out by the cityâ€™s security management unit were violent and illegal. â€œOn Friday at around 10 am the security management illegally, brutally and violently evicted more than 40 families in the Barcelona 2 transit camp. The eviction was carried out until 1 am on Saturday, a number of people were wounded during the attack,â€ he said. Mohapi also said that during the evictions, residents were discriminated against. â€œThe residents were told straight on their faces that they are amaMpondo and that they should return to the Eastern Cape. This is not the first time that people from the Eastern Cape have been openly discriminated against by high ranking politicians and officials in Durban,â€ Mohapi said. However, the eThekwini Municipalityâ€™s acting head of communications Mandla Nsele said that the evicted families were illegal occupants without any necessary documentation allowing them to occupy the units. â€œThe transit camp is used to rotate families while upgrades are taking place in the informal settlements in Lamontville and the illegally occupied units were required to be used to unlock the provision of services by relocating families in the way of bulk services in the earmarked housing upgrade projects,â€ he said. Mohapi expressed concern over possible conflict and division that could rise between Xhosa and Zulu speaking residents. â€œWhen Xhosa speaking people are removed from the tins at gunpoint, and Zulu speaking people are then brought into the tins, there is a very high risk of serious conflict,â€ Mohapi said. Abahlali baseMjondolo have called on traditional leaders to intervene and condemn any attempts to divide the people by the politicians.